Choosing the best homeschool curriculum is important to new and prospective homeschooling parents, as well as those who want to improve homeschooling or adjust to a new phase, such as kids starting high school. You’ll want to choose a homeschool curriculum that addresses all three. 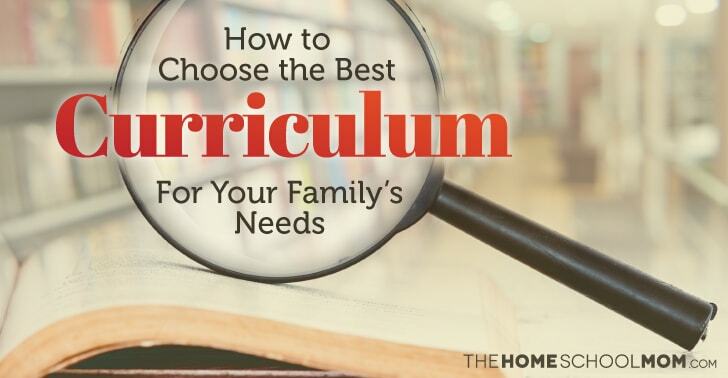 This guide will help you evaluate these considerations, as well as how to determine if a homeschool curriculum fits for your unique needs. Children come in different ages, stages, levels of development, learning preferences, personality types, and activity levels, and they have different interests. For example, if you have young children, you may wonder what curriculum you should use for your 4 (or 5 or 6) year old. Or you may be interested in what homeschool curriculum to use for an active, outdoorsy child. Or you may need a homeschool math curriculum for a struggling student. Learning styles. Some children learn more by creating and making things; others through reading or talking to people. When you choose your homeschool curriculum, take these preferences into consideration by exploring learning styles like visual learning, auditory learning, and kinesthetic learning. You may also need to consider whether your child is a right-brain learner when choosing curriculum. Interest-led learning. If your child has a strong interest or does not respond well to typical school work, you may want to try interest-led learning. You can choose resources that support the interest, and that might not include choosing a formal homeschool curriculum. Grade levels. You may want to know what homeschoolers think about how a child’s grade level affects curriculum choice, and when grade level may matter most. Homeschooled kids frequently learn at different grade levels for different subjects, and there is more freedom to help them at the level where they are rather than the level they should be. Post-graduation plans. Your high schooler might be college bound or headed toward a vocation or entrepreneurship. Mary Ann’s posts detailing her daughter’s 10th and 11th grade plans can give you a look at what one college-bound homeschooler’s course load looks like: Homeschool High School: Our 10th Grade Plan and Homeschool High School: Our 11th Grade Plan. You might even be just getting started with homeschooling a high schooler—there’s bad news and good news! If you have a struggling high schooler who is currently in public school, you might want to look at the ideas for choosing a homeschool curriculum for a potential dropout. How much time do you have? Some people hope to outsource all or part of their children’s learning because of time limitations, parental health issues, or other factors. Do you plan to homeschool and work outside the home? Will you be able to provide first-hand assistance to your children? Have you thought about a philosophy of education, or are you content to let that develop or just not worry about it? Are you oriented toward doing hands-on things? Are you highly interested in checking off lists for requirements? Do you prefer more open-ended holistic experiences for yourself and your children? Do you have the ability to help your child learn through the high school years? Are you open to personal growth and change? You may have always wanted to homeschool, and your children have never been to school. You may be homeschooling to solve a particular problem at school. In fact, you might even be an accidental homeschooler, who never intended to homeschool, or a short-term homeschooler, who plans to return children to school after a stint of homeschooling. You may be homeschooling to accommodate a child who has been labeled as having ADD/ADHD, or because your child is considered behind or ahead by public education standards. You may be interested in homeschooling your large family while working. You may have limitations of time, money, technology, or your partner’s expectations. 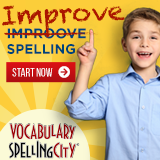 You may be attempting to meet requirements or help your child prepare for future educational or career possibilities. All of these situations play into your choice of curriculum (or choice to not use curriculum). If money is in short supply, look at the ways people homeschool on a budget, including choosing free homeschool curriculum. Many people are also concerned about whether homeschooling leads to a diploma. Your child may be attending a co-op, taking homeschool classes, or attending a university model school, so you might only need to choose curriculum for specific subjects. You might even explore why some parents use more than one homeschool curriculum for the same subject. You can also learn what other homeschoolers think of curriculum by browsing TheHomeSchoolMom’s homeschool curriculum reviews, which are arranged by subject and title. Parents have written these curriculum reviews based on their own experiences—they share the pros/cons, grades used, and what they think of the curriculum—with specific homeschool curricula for language arts, math, science, social studies, art, history, typing, technology and more. We even have reviews of a book that reviews homeschool curriculum! That would be Cathy Duffy’s 100 Top Picks for Homeschool Curriculum. Content. What topics does the content cover? For example, does the content of the sixth-grade math curriculum you are considering cover topics that are usual for that level, or is there a reason why it does not? Approach. Do you and your child like the structured approach of homeschool curriculum emphasizing learning from textbooks, or do you like the idea of homeschool curriculum consisting of living books as recommended in the Charlotte Mason approach to homeschooling? Different homeschool styles go with different homeschool curricula, and reading about the approaches to homeschooling will help you choose a homeschool curriculum. Delivery. Have you considered the pros and cons of a curriculum that is delivered online as an all-in-one program? What about the pros and cons of learning that is delivered through activities and projects? Are you familiar with the idea of learning delivered through the creation of lapbooks or notebooks? A great way to learn more about homeschool curriculum is to visit with curriculum vendors at a homeschool convention. You can hold it in your hands, and show it to your children. Sometimes determining the fit of a homeschool curriculum is difficult because there are competing priorities or constraints. The one you like the most costs too much. The one your child likes uses so many crafts that you know you will not like it. The one that covers all the bases is completely uninspiring to your child. The one done online turns out too much (or too little!) time. And of course, there is always the question about homeschool curriculum for multiple children; what fits one child may not fit the others! Many people use unit studies as part of their homeschool curriculum if they have kids of different ages. You may have to make changes in your curriculum choices as you recognize how these factors play out. In fact, this happens to homeschool parents with regularity just a month or two after homeschooling gets started, so we have proclaimed October 1 as “Curriculum’s Not Working Day.” Read about it, so you’ll understand that many people are making changes to their homeschool curriculum, so homeschooling will work better. Did you know some people do not use a formal homeschool curriculum at all? Some people prefer to select and use multiple non-curricular resources instead of curriculum. In fact, veteran homeschoolers recommend that new homeschoolers do something called deschooling before making a decision about homeschool curriculum. Many homeschoolers also purposely delay formal academic lessons before introducing curriculum when their children are older. There is even something called unschooling, which includes learning without a formal homeschool curriculum at all. As you pick your homeschool curriculum, it’s important to keep in mind all the ways that homeschooling is not like school. You don’t have to do things like school, even though that’s the most familiar approach to education for many people. Homeschoolers will tell you that picking a curriculum that’s flexible has benefits. You can even buy used homeschool curriculum. 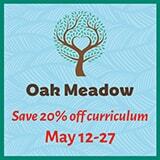 Here are some great sources for buying used homeschool curriculum. But remember, choosing a homeschool curriculum is just one factor in homeschooling. Homeschooling 101 will walk you through the basic steps to getting started. Just a few more steps for your To Do list! I will save this link and forward to friends who want to learn more! My wife and I use One that is great for high school to preschool with tons of resources and organizational tools and even resources for kids with disabilities! I’m glad you’ve found a curriculum that works for you. There are so many considerations and so much variety. Homeschool curricula vary widely and make frequent changes. In general, homeschoolers don’t consider Common Core to be a necessary attribute of curriculum, and in fact, many homeschoolers actively avoid curriculum that is purposely aligned with Common Core. However, we know that parents have specific reasons why they may need a curriculum to have specific attributes, so I understand your asking this question! We have a Curriculum Review section here at TheHomeSchoolMom, where you can read various opinions. You can check the websites of those that sound interesting to see if they are aligned with Common Core. At THSM, we don’t offer to “match” curricula to families or kids because there are so many factors involved – and since parents know their kids best. I know you can find something that will work well and meet your needs. I have 3 children – 2nd, 6th, and 9th grade. As much as I do not like Common Core State Standard methods I need to find a curriculum that has CC methods integrated into it’s teachings. Could you please help to suggest options?